Apparently, filmmaker David Dobkin was inspired to make this after seeing "Fargo." 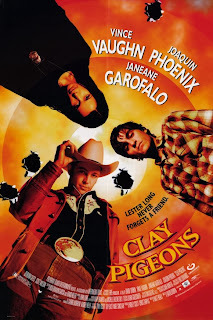 Despite never reaching the creative heights as the Coens' 1996 masterpiece, "Clay Pigeons," set in a small Montana town peopled with idiosyncratic characters, functions well as a unique independent film with bite and quirky oddness to spare. Here's the deal- loser Clay (Joaquin Phoenix) is banging his best friend Earl (Gregory Sporleder's) white-trash girlfriend, Amanda (Georgina Cates). When Earl gets sick of being two-timed, he gets drunk and commits suicide in front of Clay, trying to frame him for his death. 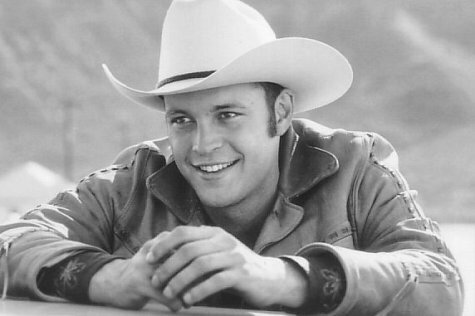 This leads to a string of events that leave Clay totally shaken and out of his comfort zone, as bodies pile up, friendly serial killer Lester Long (played by Vince Vaughn, but don't let that run you off) befriends Clay, and acerbic FBI agent Agent Shelby (Jeanane Garofelo) is on the case. I found the beginning of this film a little shaky in terms of acting and writing, but I'm glad I hung in there because the film got a hell of a lot better after the first twenty-or-so minutes. I never fell in love with Joaquin Phoenix as Clay. I understand that maybe he was supposed to be sort of a boring, reactionary character, but I never connected with Clay or the performance. I'll admit, I haven't seen Vince Vaughn in much and had no expectations except maybe low ones from the general opinion- which is, well, that Vaughn can't act his way out of a paper bag. I was pleasantly surprised. Vaughn did great in this role as Lester Long, he was revalatory in his villain performance in the way that Matthew McConaughey was in "Killer Joe." Vaughn's laugh- like a alien entity playing at being human- was particularly chilling. I will say his character may have been more compelling than either of the kidnappers in "Fargo." My favorite character, hands down, was Detective Shelby, played by Jeanane Garafelo. 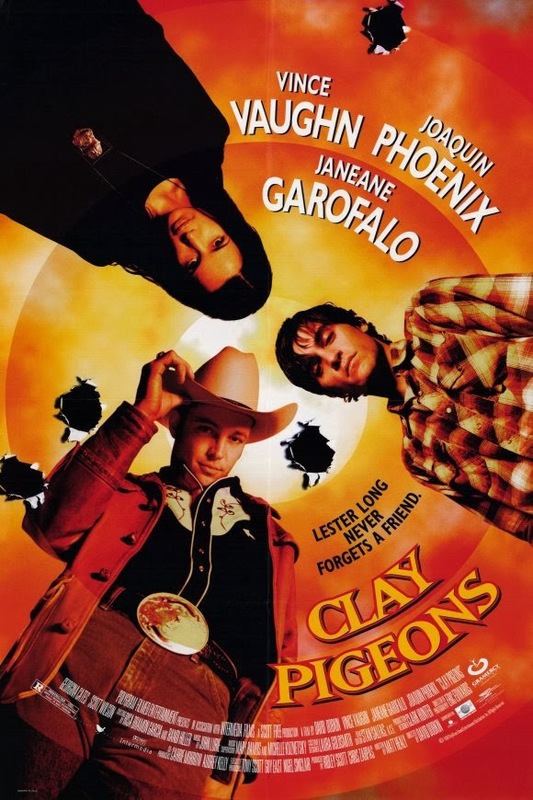 Although I don't think this is in the same category with "Fargo," "Clay Pigeons" is still a intriguing comedic thriller with strong acting and character development. I would call it the Vince Vaughn movie for people who hate Vince Vaughn, and the Jeanane Garafelo movie for people who get sick of her Liberal politics but would like to see her play a fabulous character. "Clay Pigeons," despite it's flaws, is an exciting debut, and a worthwhile movie.